At a gathering of industry experts at the 2014 NAB conference, many concurred that by 2020, a mere six years away, the home DVR will no longer exist, and the cloud will be what viewers utilize instead to maintain their television programming. Apparently someone forgot to clue in DVR manufacturers, who are continually churning out new and interesting devices for consumers’ residential video content. Here are a few of the most recent products, championed by various cable companies, telecoms and others. In December 2013, AT&T rolled out their brand new service, Gigapower, for testing in Austin, Texas. 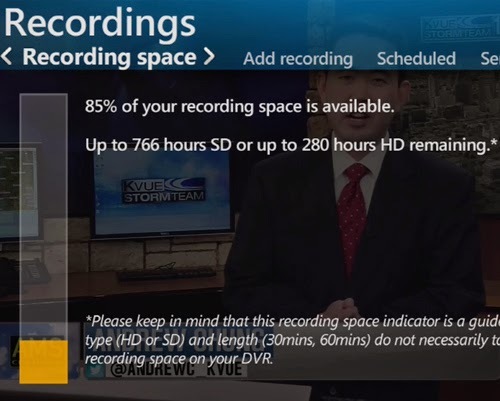 In addition to providing customers with faster upload and download speeds (1-Gbps), the system gives users an upgrade for their Total Home DVR, which holds one terabyte of storage space, or around 330 hours of HD content – and seems to contain the most available amount of recordable hours on the market. The DVR can record up to five HD shows at a time, and Gigapower will be expanded throughout 2014 to numerous other cities, according to an April press release. AT&T is contemplating Dallas, Los Angeles, Chicago and other areas for the network. “With U-verse with GigaPower, our customers can … have one of the best TV experiences around,” said Dahna Hull, AT&T's vice president and general manager for Austin. Created by Ottawa, Ontario-headquartered technology startup Nuvyyo, Tablo attracted attention by first appearing on crowdfunding website Indiegogo in November 2013. While it did not obtain the $50,000 it sought, the entire intent was to engage early supporters for the product, before it became available to retailers. 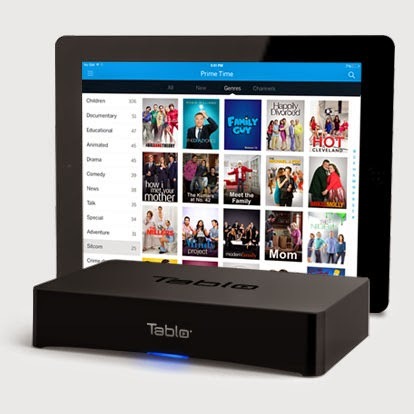 Tablo connects to an HDTV antenna and streams the signal to any TV or second-screen device; the content can be organized and modified through mobile apps. USB ports allow external storage drives to be hooked up. "It's not just about the TV these days," said Nuvyyo CEO Grant Hall. "It’s really about whatever device you have and wherever you are, enabling you to enjoy that live and recorded programming wherever you want to." The product is in many ways a competitor Aereo, and a Supreme Court ruling could affect the business. 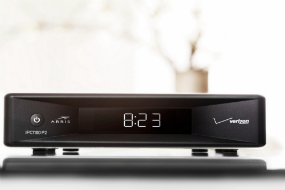 At the beginning of April 2014, Verizon FiOs announced their Quantum TV DVR. Two of the six tuner IPTV hubs can be configured to support the recording of 12 shows at the exact same time, and has hard drive storage for approximately 200 hours of high definition (HD) programs. The “premium” services allows for two terabytes, while the “enhanced” has one. 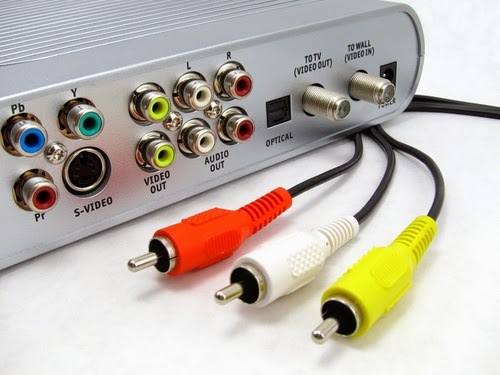 Not to be outdone by Verizon, Cablevision decided to reveal their device shortly thereafter, the Optimum Multi-Room DVR, which lets users record 15 different shows simultaneously. The capacity allows 300 hours of SD recordings, or 75 hours of HD. Also in April, DirecTV has unveiled the Wireless Genie Mini (WGM), a product that lets content from a Genie home DVR be wirelessly transmitted to any other television set around the residence, including outdoors, in addition to maintaining the normal functionality of the set-top box. “Customers will love the simplicity of wirelessly connecting multiple TV's to their DirecTV Genie anywhere inside the home or even in their backyard,” said Romulo Pontual, executive vice president and CTO for DirecTV. As it effectively serves as a communicator for the primary DVR, there is no actual storage on it.